Are you on your way to see the Wizard? What a coincidence… Cowardly lion, Dorothy, Tin Man, and Scarecrow are going there too! 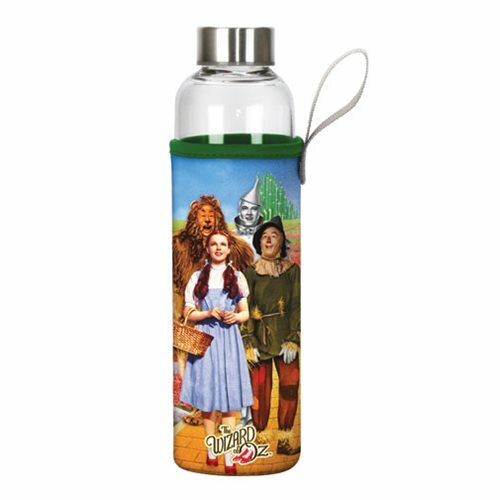 You can all travel together when you carry along this beautiful 9 3/4-inch tall Wizard of Oz Cast Photo 20 oz. Glass Water Bottle with Neoprene Sleeve. Hand wash only. Not dishwasher safe. Do not microwave.